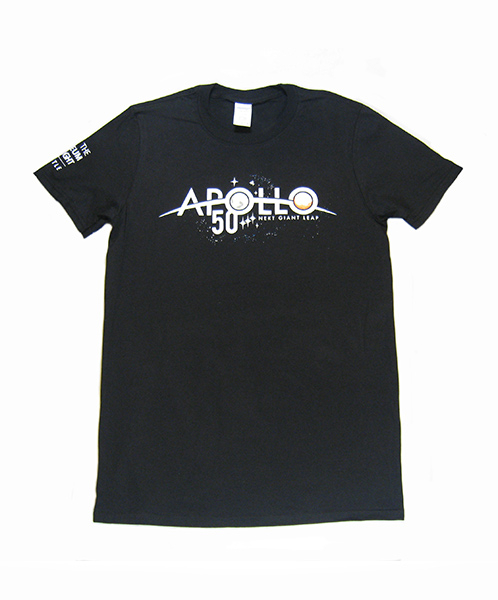 The Apollo 50th Next Giant Leap Tee features the official NASA logo for observing the Apollo Program milestone anniversaries. From October 2018 through December 2022, NASA will mark the 50th anniversary of the Apollo Program that landed a dozen Americans on the moon between July 1969 and December 1972. This Tee comes in sizes Small-2XL.